Inspired by New York's infamous 'The Factory' - famed for its groundbreaking parties, CANVAS Singapore's design, styling, music and art exudes the uber club vibes of NY's Soho /meat packer district with elements of quirky fun dedicated to the trendy, creative, artsy party crowd. A one of a kind urbane industrial designed dance club with an ultra cool alfresco lounge by the river, the space exudes unpretentious chic. 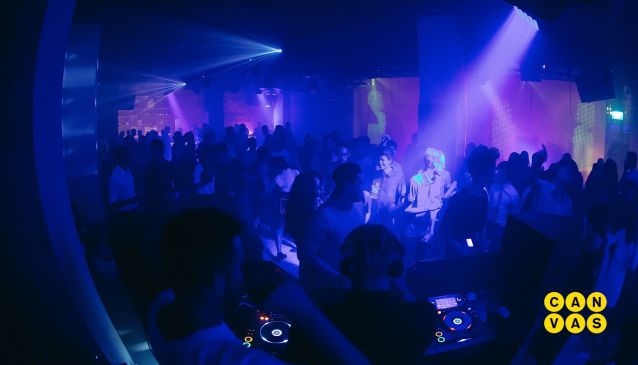 With a true dedication to credible music genres, music for each individual club night is an innovative, global montage of everything from Afro-Latin, Swing to Techno and Nu-Disco. Non-conforming yet remaining relevant above the underground, Canvas' crossover is set forward by a pool of carefully curated resident DJs paired with an always impeccable line-up of exciting guests / international DJs. Combined with a visual experience of digital arts and lightings, a new standard of partying is guaranteed for all.